In recent classes, students have made dishes ranging from grain salads with farm-fresh snap peas, radishes, and homemade dressing, to green vegetable fried rice with edamame and strawberry-rhubarb tart. One favorite is vegetarian dumplings made from scratch. "A lot of the kids have eaten dumplings from Chinese takeout, but they've never had them this way," says So. "We use crumbled up tofu with vegetables and shiitake mushrooms, and this recipe always turns mushroom haters into mushroom lovers." 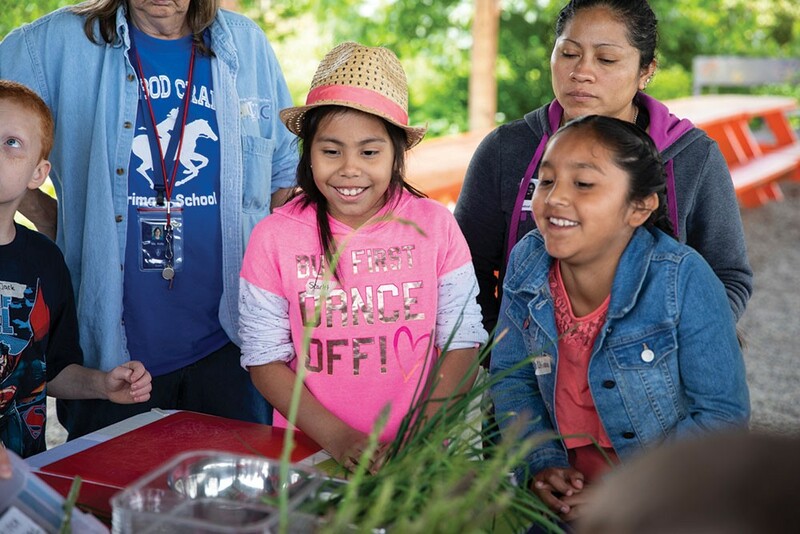 Transforming picky eaters and opening kids' eyes to a world of produce choices is a big focus with the younger students, while gaining cooking skills can be transformative for the older ones. 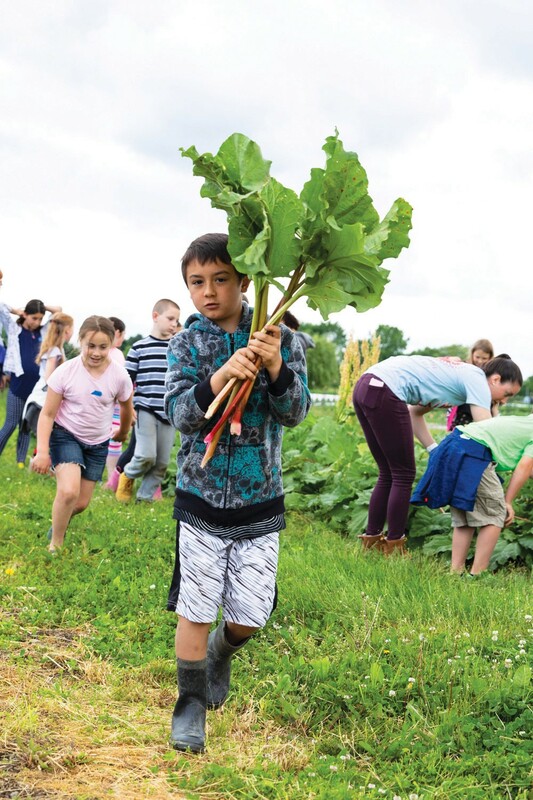 Each class comes with a CSA share from Field Goods featuring a bag of curated vegetables that students can take home once a week, so they can share their new skills and the farm-fresh bounty with their families. 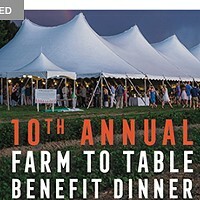 Building a more equitable food system is a necessary task in this country, where the distribution of fresh, local, and organic foods almost always intersects with race and class—creating abundance in white, affluent communities and scarcity in communities of color and low-income demographics. "We know that one in six children is living with food insecurity in Columbia County," says John. "When it comes to food insecurity, it's a hidden problem. Nobody wants to come forward and say, 'Hey, I'm really worried about buying enough food for the week.'" 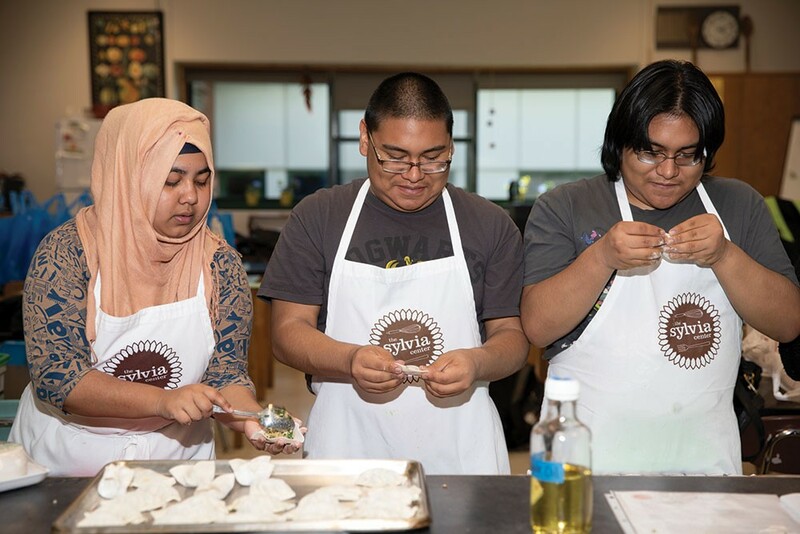 Because of the stigma attached to being food insecure, The Sylvia Center casts a wide net to the community instead of offering a needs-based program. "When we do our programs in places where people are living in poverty, we can draw folks in and do active recruitment, but we also know that having folks from all economic backgrounds in the same class together does more to promote these ideas for everyone. People don't have to be worried that they'll be singled out or seen as poor if they come to our programs. The concepts we teach are for everybody, but they go the farthest with families that are challenged about what to do with their family food dollars." 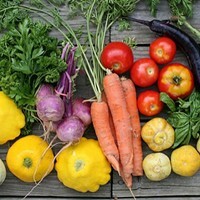 Breaking certain misperceptions about food is another key focus when it comes to planting the seeds for healthy eating. "There's a false idea that fruits and vegetables are more expensive than fast food," says John. "You can buy a burger for a dollar. You can buy a pound of zucchini for a dollar when it's in season, but you have to do more to prepare it to get it to the table. We're trying to get people to think more about what is healthy and good for their families. We all need to make these decisions every day, and we can choose vegetables and fruits for a variety of reasons, not just cost. Though you can actually take a pound of zucchini and make that into a couple of dishes." Awareness about the connection between diet and health is often no match for the temptations of poor food choices and empty calories all around us. "The research is clear that eating plant-based meals is a healthier long-term choice, and incorporating more fruits and vegetables into your daily diet is a great way to stay healthy," says John. Yet that knowledge is not really translating into a lot of changes when it comes to kids. Diet-related diseases like diabetes and obesity are on the rise in young people. "Eating fast foods and high-fat, high-salt meals all the time really has a detrimental, lifelong effect," adds John. "That's why we focus a lot on children, because we think the benefits of this can last a lifetime." 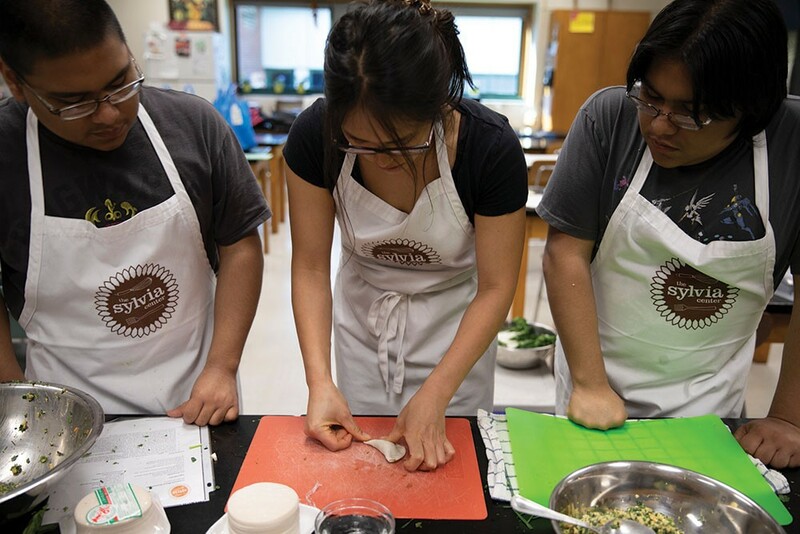 Students from Hudson High School make dumplings using fresh ingredients. Woven into The Sylvia Center's programs, youth development is part and parcel to its mission. In the school and family classes, participants get a healthy dose of teamwork, collaboration, and confidence-building along with their micro and macronutrients. Some kids say their favorite part of the class is learning how to work with others in the kitchen, as they take a team approach to creating the meals. Confidence grows quickly, even in a 40-minute class with kids. "When you give them real knives, such as paring knives to work with, it's an honor that's bestowed on them," says So. "A lot of parents won't let them use their knives at home. But once you teach them the proper way to use these tools, they rise to the occasion and you can see their confidence shine." 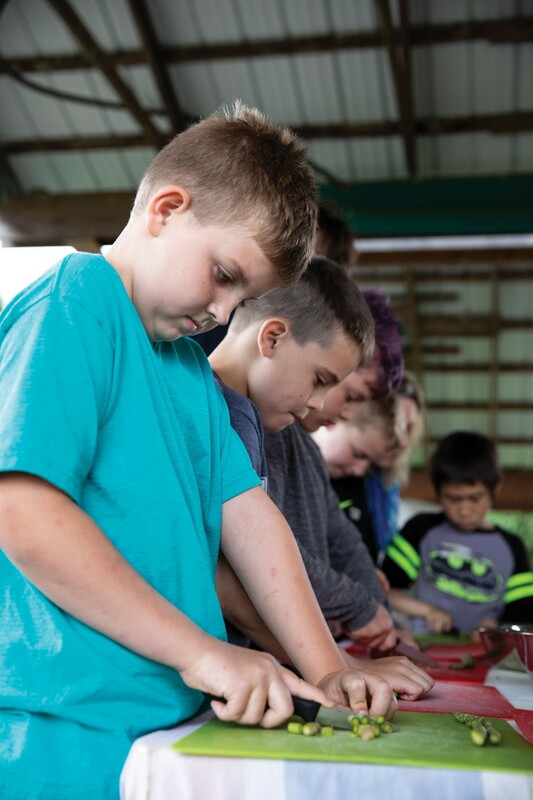 In the last couple of classes, the kids get a chance to riff on the recipes and come up with their own dishes, rolling out their creativity and applying new skills to their personal tastes. 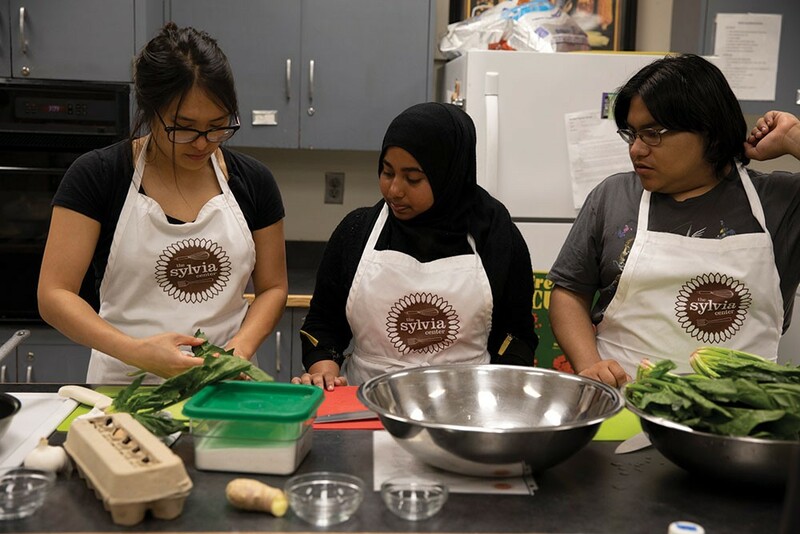 The New York City program takes youth development one step further by exploring vocational opportunities with teens; some go on to pursue careers in the culinary arts or local restaurants, or they get involved in the food justice movement. Upstate, the program hopes to bring the vocational angle into its programs in the future. Currently, the focus in the Hudson Valley is on expanding through school districts and training teachers to carry on the work they do. It takes a village, and a lot of breaking bread together, to get people eating healthy. "I think teaching people how to cook is the best way to ensure that they'll have a healthy life, because those skills stay with you forever," says So. "It's a positive outlet: You're creating something when you're cooking. It's ultimately your personal choice to choose the food and make it into something nourishing for yourself and your family."